The following is a guest post from Allen Bullard, who I had the pleasure of meeting on a volcano in Indonesia and who subsquently (perhaps stupidly) agreed to climb my 2009 birthday mountain with me, despite the fact that I had a gimpy ankle. His Twitter name is @borntotrek, and there’s a good reason for his choice: the man loves mountains. 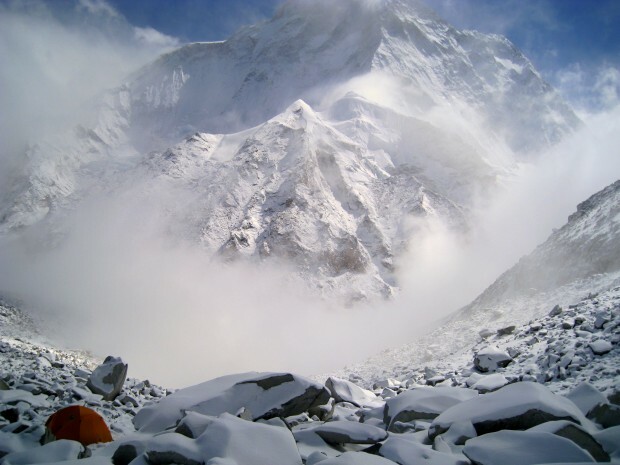 Not only does he love mountains, he is very good at scaling them and has often returned to Nepal to climb and relax. It takes a special kind of person to find 5000m+ mountain passes relaxing. This year Allen decided to head back to Nepal and opt for a much more grueling trip: the Makalu Base Camp trek, winding high up Makalu. Here’s what Allen has to say about his trip. In April this year I got the opportunity to join an expedition in Nepal who were trekking the Arun valley to Makalu base camp and over Sherpani Col. 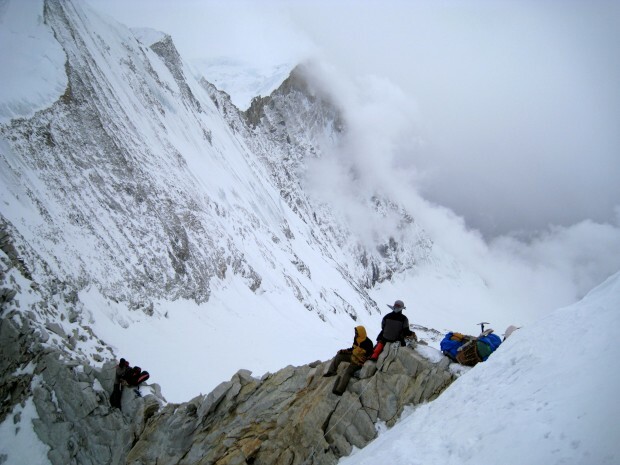 This route involves technical climbing and takes you to an altitude of approximately 6200 metres as well as a glacier crossing. This was my fourth visit to Nepal, and I’ve previously trekked The Khumbu (Everest), Annapurna and Langtang regions. All of these I walked independently, carrying my own pack. All of them took me over 5000 metres. 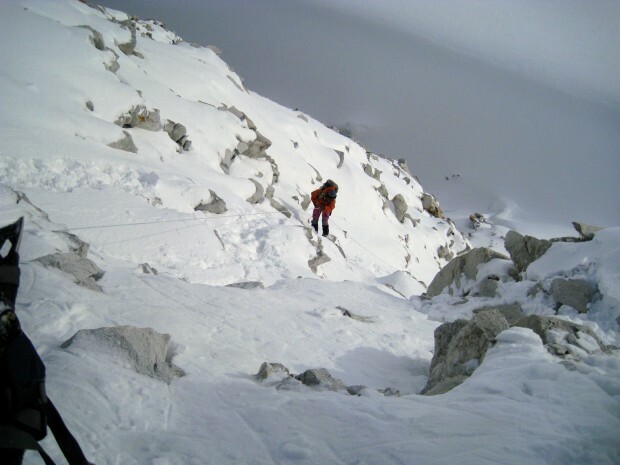 But very few people trek the Sherpani Col route through the Himalaya’s – it’s difficult and expensive to organise, and is rated as one of the most challenging and dangerous treks that can be done in Nepal. To say I was nervous about taking this on would be an understatement, but I think life’s all about challenging yourself and it sounded like an incredible adventure. It was also an opportunity for me to see how my body would react to breaking the 6000 metre barrier. It turned out to be the hardest thing I’ve ever done physically. 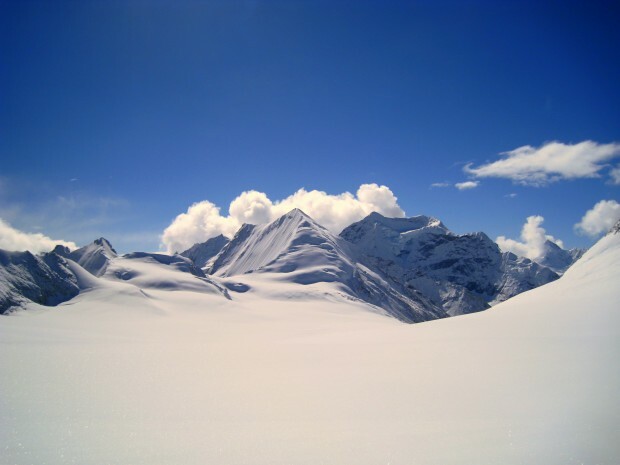 We contended with temperatures as low as -30 degrees and spent more than 12 days over 5000 metres. During the 3 days I spent on the glacier over 6000 metres I found it almost impossible to eat and even walking 50 metres left me gasping for breath. I was up in the mountains for 30 days and came back a good 10 kilos lighter. It’s given me a whole new respect for those guys who go out and climb serious peaks. It was also one of the most beautiful places I’ve ever been and while I questioned my sanity at times while I was up there it was also one of the most amazing experiences of my life. Jodi is a great friend and I love her website, so when she asked if I wanted to share some photos from my trek the answer of course was ‘Yes’. Flying in Nepal is always an interesting experience and this was no exception. 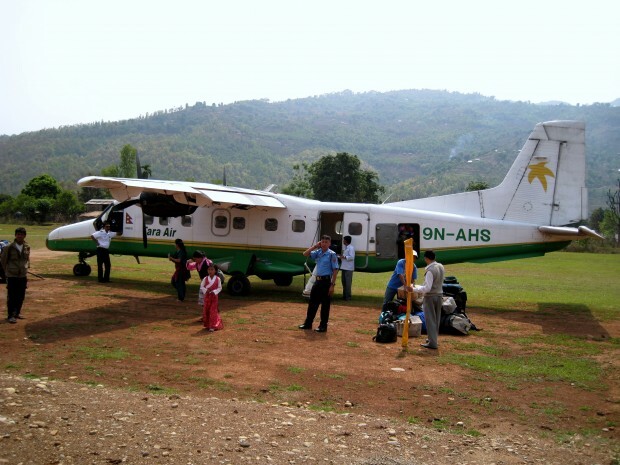 Our plane in Tumlingtar after a bumpy flight from Kathmandu. One of our porters as we trek towards Kongma. 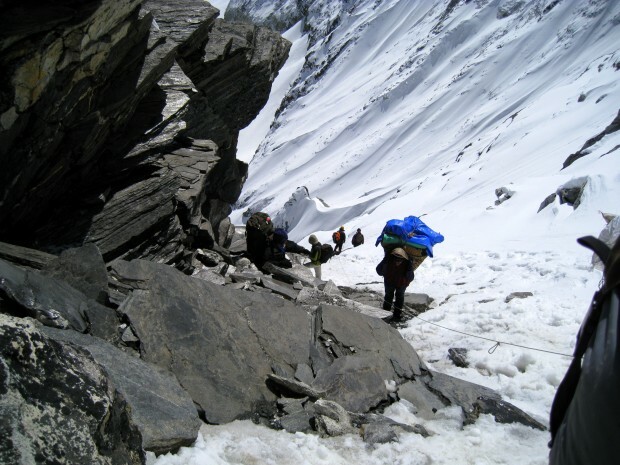 Our porters carried standard loads of 30kg although some carried 45kg for and were paid extra accordingly. 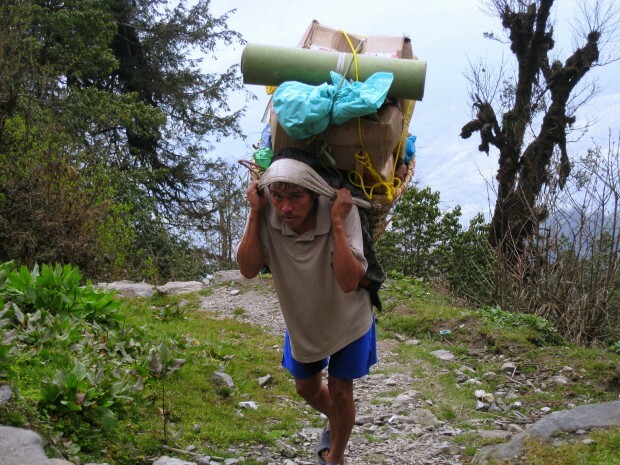 If this seems like a lot, I’ve previously met porters in Nepal who carry loads over 90kg. Some of these guys are superhuman. 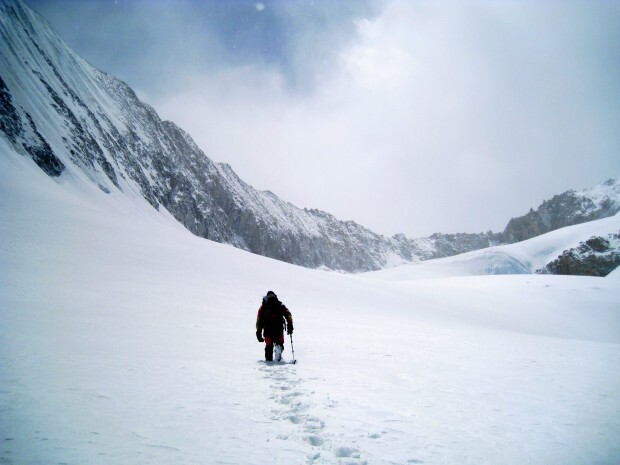 On day 7 we crossed Shipton La, a 4200 metre pass. This part of the valley gets an amazing amount of snow and we were often wading knee deep. Yangri Kharka, at 3600 metres, where we stopped for a rest day. Also where I picked up bed bugs in my sleeping bag that took 4 days to get rid of. 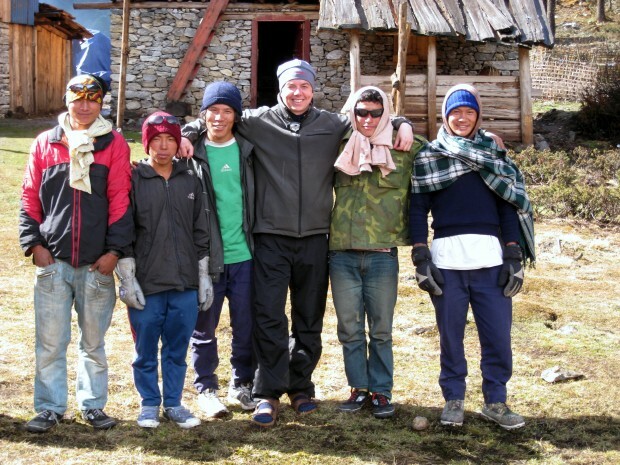 Me with some of our porters shortly before an impromptu football match. Playing football at 3600 metres isn’t easy and I lasted about 10 minutes. 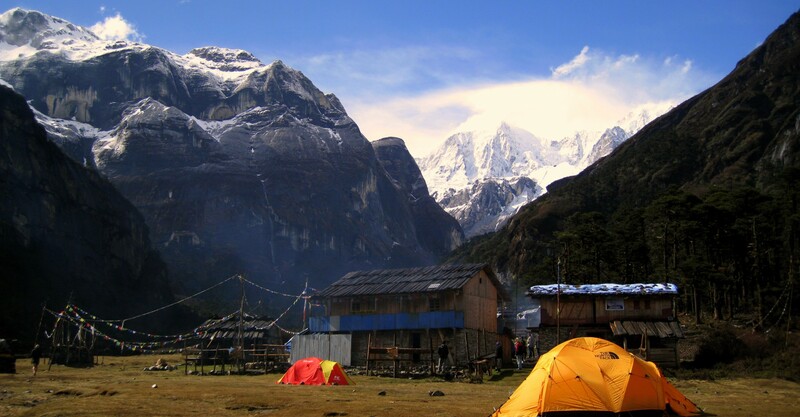 Makalu base camp with Makalu in the background. This is the last teahouse before reaching the Khumbu valley. 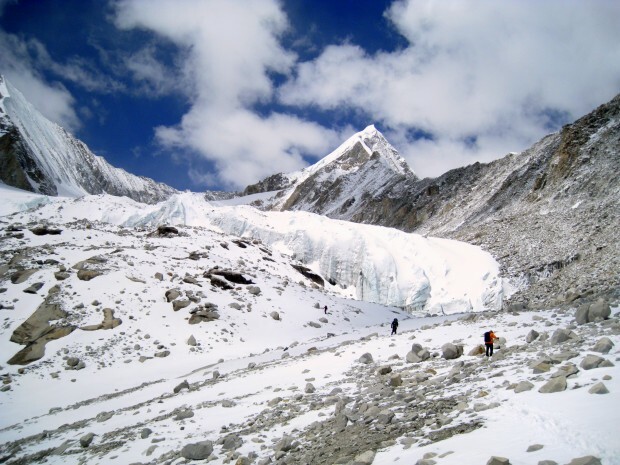 After leaving Makalu base camp the terrain quickly turns to moraine. This was our first camping spot in the valley at 5200 metres. 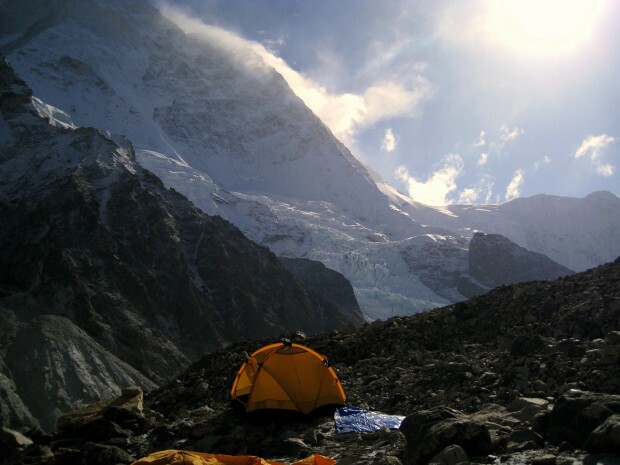 Our second camp after leaving base camp at 5600 metres. 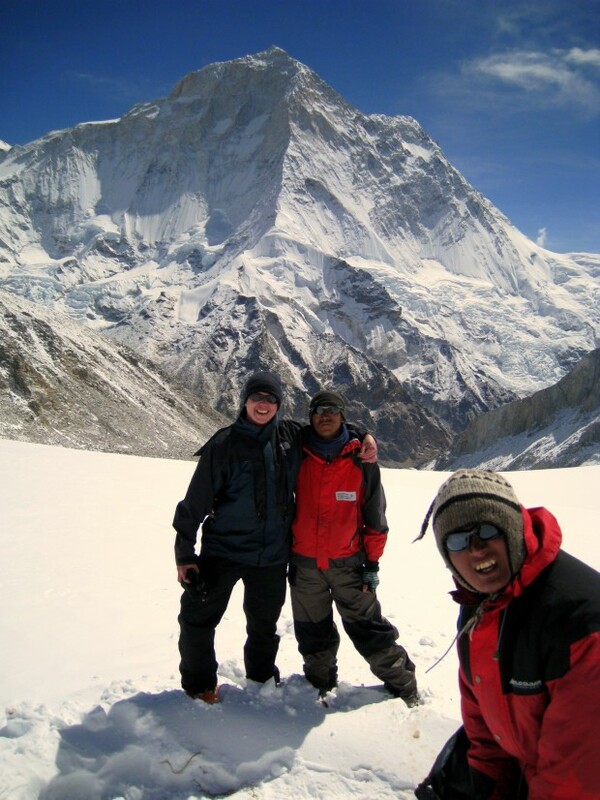 Makalu is in the background. The approach to our final campsite before attempting to cross to the glacier. 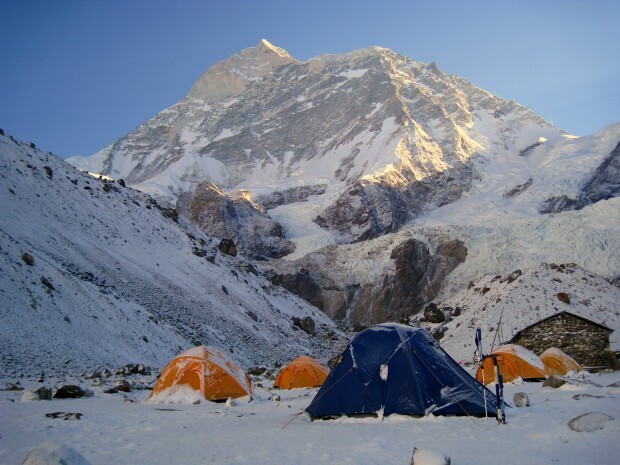 We camped here at 5900 metres. Gomba Sherpa goes ahead to fix ropes before climbing the ridge. Posting at our final camping spot before the glacier. To reach the glacier we had to climb a 120 metre ridge and rappel down the other side. It was getting dark before everyone made it over and we got the tents up. 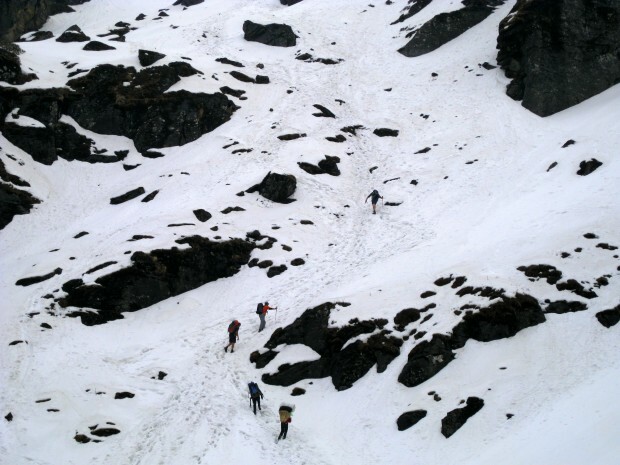 Myself, one other expedition member and 3 porters had a mild case of hypothermia by the time we got organised. Not my most pleasant night. 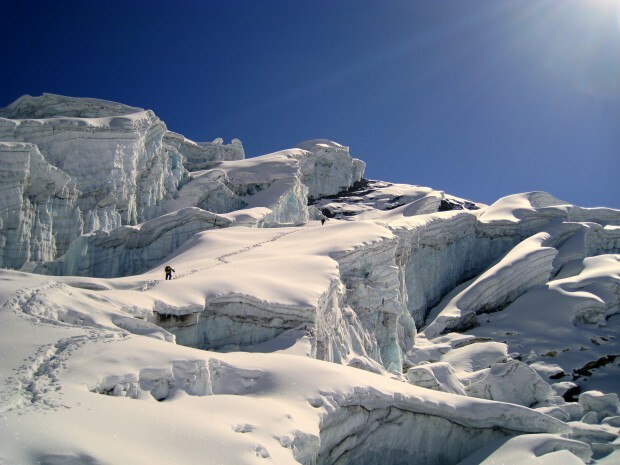 After crossing the glacier we reached the West Col a 230 metre ice wall that has to be rappelled. It took longer than expected to get the supplies down so we decided to spend an extra night on the glacier at 6100 metres rather than risk it in the fading light. 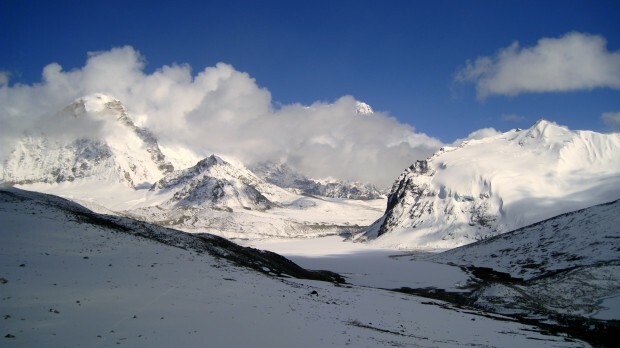 The view across the glacier. 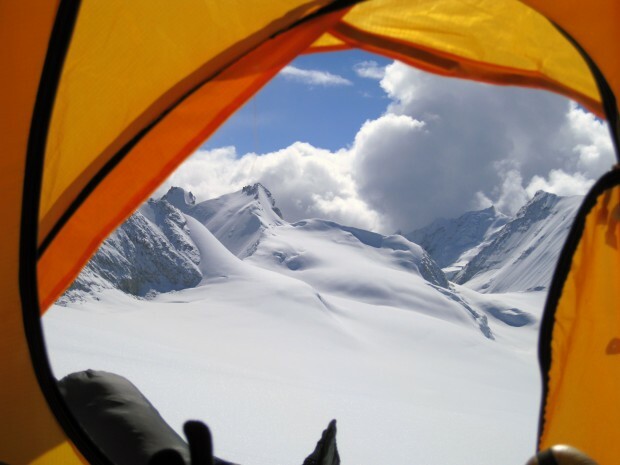 The view from my tent in the morning. After 2 days rest I left the rest of the expedition with one Sherpa to cross the Amphu Laptsa pass which is at an altitude of 5800 metres. 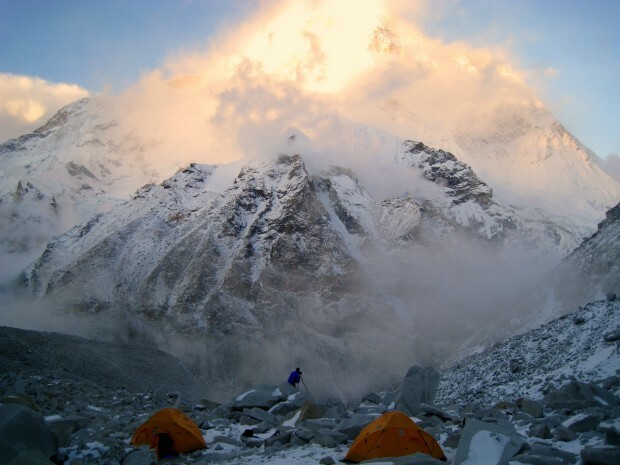 We camped below it for one night and then crossed over the next morning. Scaling the east side involves a little bit of climbing but there are fixed ropes already in place so it’s not too difficult. 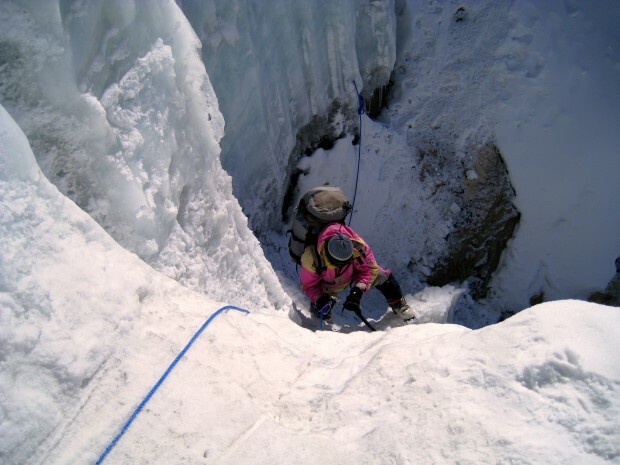 Descending the west side of Amphu Laptsa involves rappelling again. This side of the pass is avalanche prone but luckily it was quiet the day we crossed. 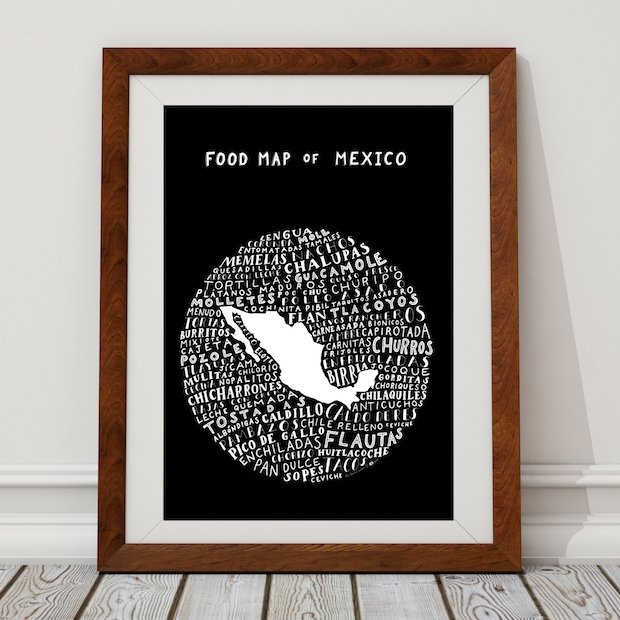 Wow, what an incredible journey! These photos look unreal. I love stories like this. Allen’s message, “life’s all about challenging yourself” is a great one. Couldn’t agree more. When people challenge themselves, they end up doing awesome things. The morning tent photo is incredible. Almost perfection. Congrats to you for trekking such an amazing feat. Amazing and amazing! Not sure if I will be able to make it happen ever but must say you had fantastic adventure! Thank you making this content public! Thanks for investing the time to share some thoughts on your Makalu run. We are in the nascent stages of planning our own “expedition” to MBC to take place in October, 2019, and are aggregating as much data from as many sources outside of Nepal as we can. 1. What was the size of the group you joined and cost per head, excluding tips? 3. What year did you take this trip, 2017? 4. 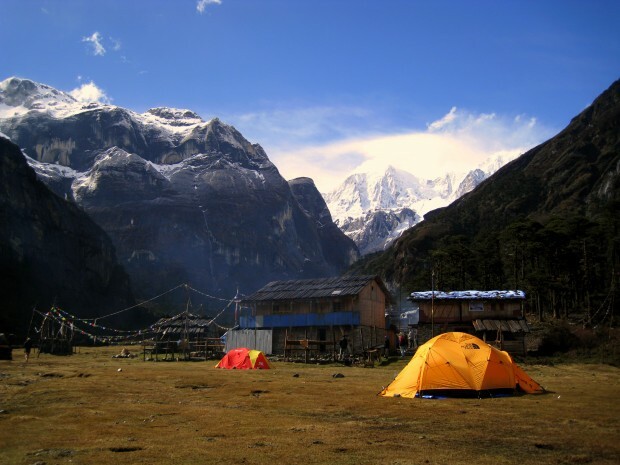 Did your team sleep in tents the entire trip because you were ultimately crossing the Sherpani Col and therefore had the gear, or because the basic teahouses along the route were often closed, or? 5. By extension, was this fully-supported from day one, by which I mean your porters were cooking for the team the entire time and setting and breaking camp, etc? 6. Did your sherpa guide(s) have SAT comms or did someone on the team have this? Allan took the trip in 2010. My business is on hold presently (see legalnomads.com/csf-leak-update) so unfortunately I won’t be able to track him down to answer your questions. Best of luck.